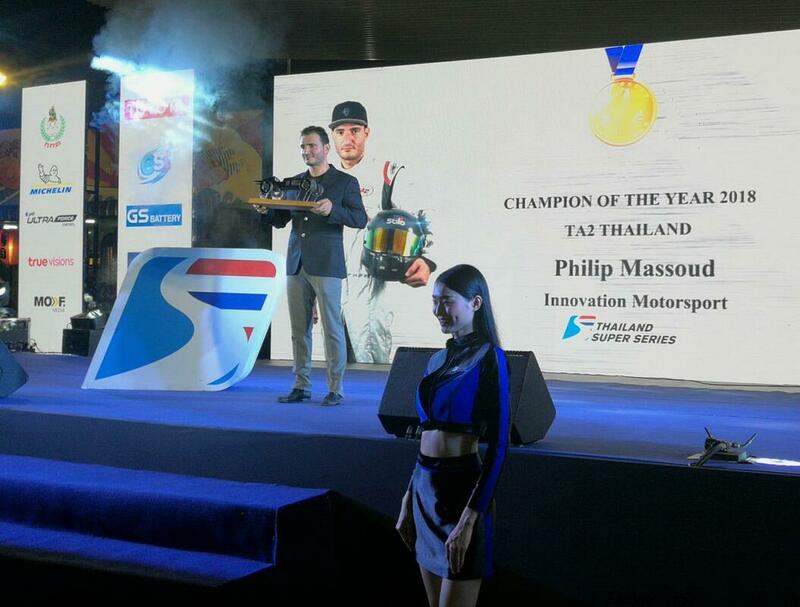 We are proud to announce that Mchanix and our driver Philip Johny Massoud has won the 2018 TA2 Thailand Super Series Championship with a total of 156 points. It was a nail-biting season with the championship all coming down to the results from the last 2 races of the season. First place finishes in both of these races sealed the season for Mchanix and Philip. A huge thank you to all the supporters and team members that made this 1st place finish possible! Race 9: Buriram - Mchanix Car Wins 1st Place! Race 7: Bira International Circuit - Mchanix Car 6th Place After Significant Accident! Race 6: Bangsaen Street Circuit - Mchanix Car 2nd Place Despite Accidents! Race 5: Bangsaen Street Circuit - Mchanix Car Wins 1st Place! Race 4: Buriram - Mchanix Car Wins 1st Place! Race 3: Buriram - Mchanix Car Wins 1st Place! Race 2: Sepang - Mchanix Car 2nd Place after starting at the back! Race 1: Sepang - Mchanix Car 1st Place! When he isn't busy in his role as Mchanix Export Manager for the Middle-East, Africa, and Asia regions, our driver Philip Johny Massoud can be found on the race track. His love for cars - fast cars - is in his blood and started from a very young age. ​Now racing the V8 Chevrolet Camaro Mchanix car in the Thailand Super Series championship, Philip is proof that immense passion and high quality autoparts make a winning combination.